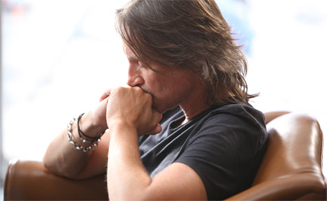 The drama rises above the multitude of films it could be compared to thanks to its leading man, Robert Carlyle, who is known in the states mostly for his roles in films such as “Trainspotting,” “The Full Monty” or his recent role on “Once Upon A Time” as the villainous and conniving Mr. Gold/Rumplestiltskin. Carlyle who has been acting for over 20 years, fully embodies his character, Lachlan MacAldonich, a star whose status has fallen quite far. As he continues to run from his past, Lachlan continues to sabotage himself as his life spirals out of control. “California Solo” is a meek film in the midst of this busy Oscar buzz season, but it still impresses on multiple counts, starting with the acting and continuing with brilliant directing and cinematography, all of which combine to make it a worthy film to be seen. Years after his band fell apart and he left Europe for America, Lachlan couldn’t be living a life further from his rock star status. He’s a beaten-down Scotsman with an ex-wife and a teenage daughter he never sees, working on an organic farm a few hours outside of Los Angeles. He fills his days with work and his nights with drinking, while also hosting a radio show that he broadcasts from his modest home, talking about all of the best musicians who died too early. On his weekly trips into town to sell the produce, Lachlan mildly flirts with a customer, Beau (Alexia Rasmussen), but little ever comes of it. The quaint life he has made for himself is in jeopardy when he gets a DUI and a past drug charge from his band days is brought back up. Immigration is considering deporting him because of his established criminal history. With his back to the wall, Lachlan begins to spiral out of control as it appears he has only the slightest chance of staying in America, the country he has called home for the past dozen years. He continues to draw closer to Beau, which in turn causes his work to suffer, and his one and constant friend, his boss Warren (A Martinez), begins to lose faith in him. With a lawyer working hard to help him out of this situation, Lachlan tries everything he can and it looks like it might be up to his ex-wife, Catherine (Kathleen Wilhoite), and his estranged daughter, Arian (Savannah Lathem), to be able to provide a reason for immigration to not go through with his deportation. After nearly a decade without any contact, will they even want to see him or be a part of his life? Lachlan must deal with his past in order to reconcile his future if he has any chance at happiness on any continent. Lachlan is a battered soul when we meet him, and even though he continues to make mistake after mistake, you still root for him. This shows you the level of talent and charisma Carlyle brings to the role. In a film that could have been completely depressing, Lewy fills “California Solo” with hope and themes of redemption and becoming a better human being. No matter how desperate the character seems to be, there is always a sliver of optimism to the way the story is told. This is one of the best roles that I have ever seen Carlyle portray and I think that this character had one of the widest ranges of emotions for him and was able to showcase his talent well. While I think the love aspect played by Alexia wasn’t as strong as it could have been, the chemistry between the two was still good. Her character popped onscreen like a single light in a dark room and she was delightful to watch. Some other performances I enjoyed were those given by Danny Masterson and Patrick Gallagher. Both roles were nearly cameos, but something about seeing them onscreen made me smile. And the final role that I found to stand-out was that of the young Savannah Lathem, a talented actress who really fills the screen with her presence in every scene she is in. I can definitely see her becoming a huge star one day. The film also stars William Russ, Michael Des Barres, Brad Greenquist, Hal Landon Jr., Niko Nicotera and Wiley M. Pickett. There are so many films out in theaters currently, with many more to come in the next few weeks, but so many times the blockbusters disappoint. 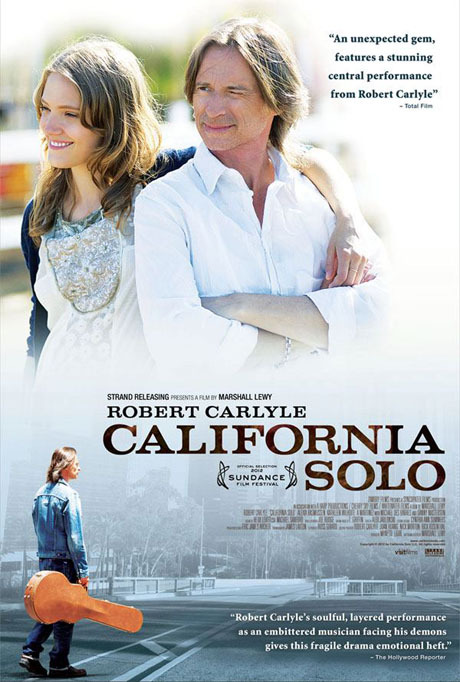 If you are interested in a well-acted drama with something poignant to say, check out “California Solo,” which is in limited theaters now.